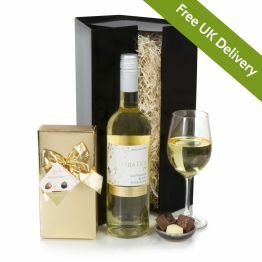 Spoil them whatever the occasion with a bottle of crisp white wine & box of Belgian praline chocolates. 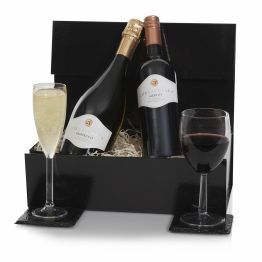 This wine hamper is perfect to surprise a loved one or friend who enjoys smooth chocolates with chilled white wine to enjoy all to themselves! 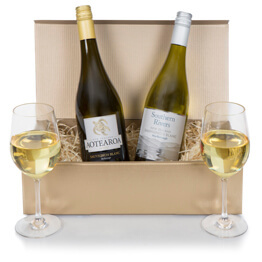 Order your white wine hamper today and show them how much care! 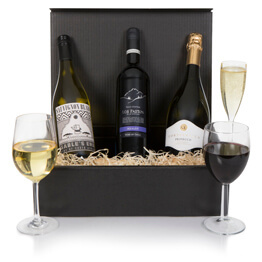 This hamper will earn you 68 Hamper Points. 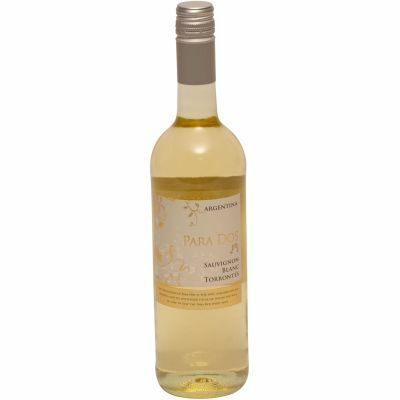 Such hamper gifts are always well received and this one was just a great pick-me-up birthday treat. 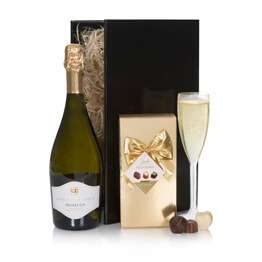 It shows as an impeccably classy gift and the combination of wine and chocolates is a true winner! 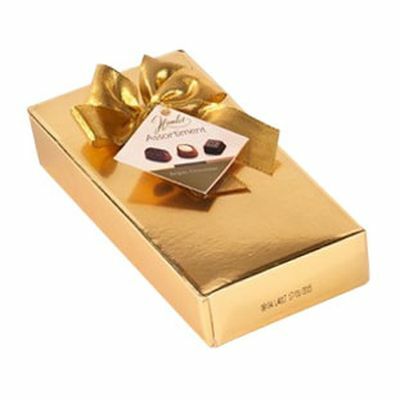 The recipient just loved it. I will be using Hamper .com again in the future; they have always served me well! 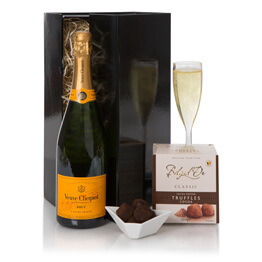 First class customer service they go that extra mile to ensure all requirements are met. Presentation of the hamper I ordered was of a very high standard and good quality produce. Will definitely use them again and would highly recommend. A special thanks to Steve at CS for all your help. My son loved his gift.